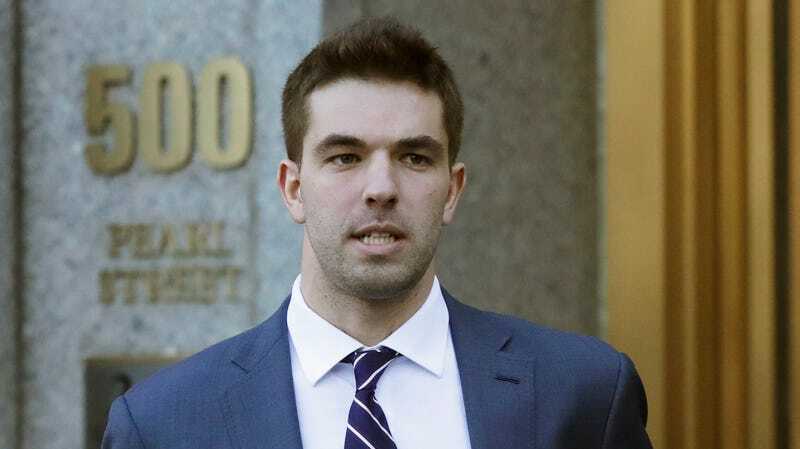 On Thursday Billy McFarland, the man, the myth, the idiot who planned last year’s disastrous Fyre Festival, was sentenced to six years in federal prison for fraud. The New York Times reports that prosecutors called McFarland a “consummate con artist” who lacked no remorse for his actions. In addition to being sentenced for the Fyre Festival scheme, which left ticket-buyers stranded on an island in the Bahamas and defrauded investors out of $24 million in losses, McFarland was also sentenced for running a ticket-selling business named “VIP Access” that he ran while out on bail for the Fyre shenanigans. In case you were living under a rock when it happened, Fyre Festival was a massive scam promoted by unknowing supermodels like Kendall Jenner and Bella Hadid. The luxury event, set to take place over the course of two weekends in April, 2017, was co-hosted by Ja Rule on the Exuma Islands in the Bahamas. But when ticket-buyers got there expecting musical acts like Migos, Push T, and Blink-182 plus VIP swag and cozy living quarters, they found a wasteland with no shelter to speak of and wild dogs running rampant. Earlier this month prosecutors were pushing for at least 15 years for McFarland’s crimes and each of his wire fraud charges carried a maximum sentencing of 20 years. So it’s confusing as to why he somehow only got six years in prison considering the extent of his crimes. But I guess when you’re someone as white, rich, and sneaky as Billy, you can scam your way out of anything, even prison time.